Hey Rich Friends! We have to look out for eachother! Money saved is money earned! When I shared in my weekly live chats on http://www.monetizethyself.com that I managed to bring my credit score from 530 to 739 in just one year- without the help of a credit consolidation company, or paying off any major debt- EVERYONE wanted to know how! The process is SO easy and I am super excited to share the details with you! Part 2: Repair and Remove debt without spending a single dollar! 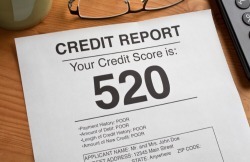 Part 3: Renew and Restore your credit, and watch your score SOAR! Take back your ability to compete for the top interest rates, get larger loan amounts for your business, and finally make a downpayment on that Yacht- it can't ALWAYS be my Yacht! Getting your credit in great standing is a goal YOU CAN attain- and you can save thousands, and spend nothing to do start! Watch this webinar, take notes, and clean your report! Hey Rich Friend?! Guess what? I'll see you at the 800score Club! Later!